IF Design Award for Silvia • Poznań Marmite S.A. The final gala of IF Design Award was held in Munich on 26th of February. 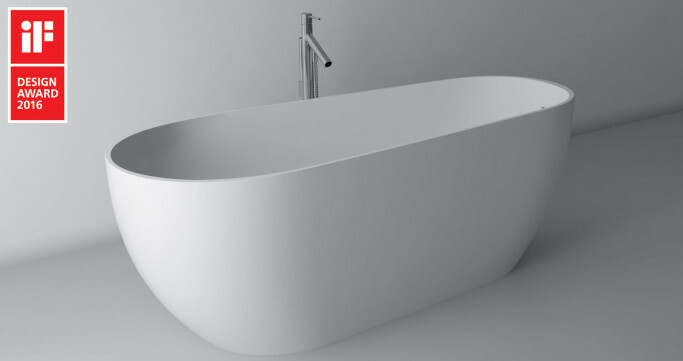 Silvia bathtub joined our awarded products. IF Design is one of the world’s most celebrated and valued design competitions that arouses interest and welcomes over 5000 submissions from 70 countries every year. The award not only recognizes the design, but also awards social awareness and responsibility. Silvia bathtub fits in perfectly with these requirements due to its ergonomic design that corresponds with a human body – it is wider in shoulders and gets narrower towards feet. Additionally, integrated overflow has been applied, thus the water use can be substantially reduced from 280 to 130 liters.